This entry was posted on 15 August, 2015 at 19:03 and is filed under Frida, New release, News. You can follow any responses to this entry through the RSS 2.0 feed. You can leave a response, or trackback from your own site. 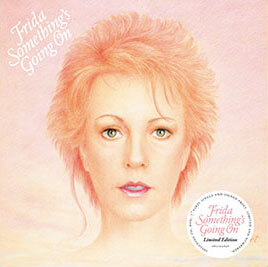 UPDATE: Due to popular demand, Something’s Going On will also released as a digipak with the CD and DVD only. Also, a remixed version by Norwegian DJ Lindstrøm will be available, but it’s not clear in what format(s), digital, CD or vinyl.